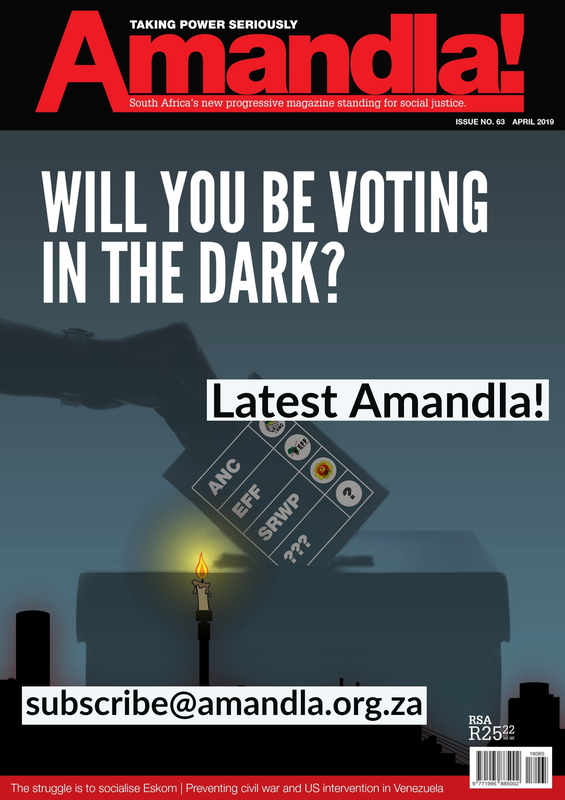 The Southern Africa Campaign to Dismantle Corporate Power is the regional leg of a Global Campaign. It aims to strengthen the joint struggles fought by communities against transnational corporations (TNCs) and bring partner organizations, affected communities and movements together to confront and break down the corporate systems that destroy their livelihoods, homes and health, and violate their basic rights, as well as the state policies which enable this. 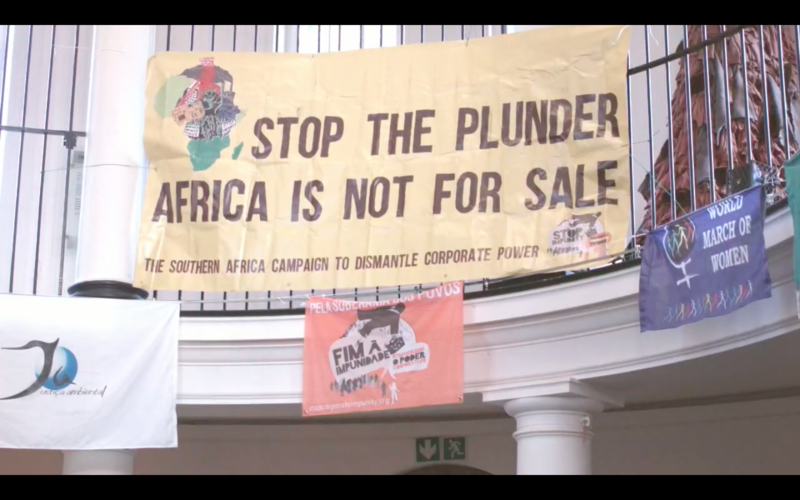 The campaign’s first intervention to dismantle corporate power occurred through the first Permanent People’s Tribunal (PPT) on TNCs in the Southern Africa region. The PPT is a public opinion tribunal that is independent from state authorities and bases its work on international human rights law using the principles of the Universal Declaration of the Rights of Peoples proclaimed in Algiers in 1976. The second session of the PPT in Southern Africa took place at the Women’s Jail at Constitutional Hill, Johannesburg from 17th to 18th of August. The 15-minute documentary recently released on the second session displays some of the highlights that took place during these two days. 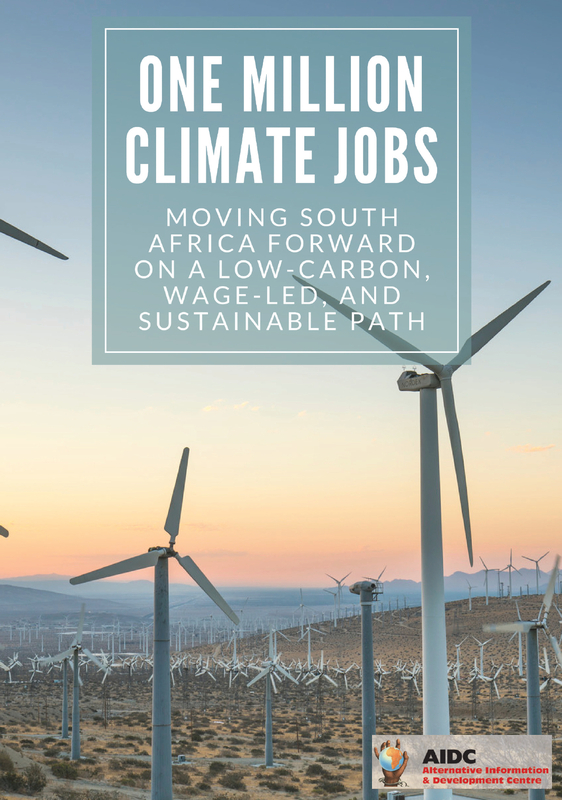 The second session of the PPT saw seven communities alongside activists from movements across Southern Africa present cases against TNCs that are violating the human rights of local communities and workers whilst at the same time destroying clean and sustainable environments. The cases were presented in front of an audience of activists and seven distinguished international jurors. What came out of the session, which is also visible in the video, was the activists’ and communities’ commitment to work together and form alliances to be aware that their struggle is not alone. This gives us strength for the next year of activism and we expect the third session of the tribunal to be another fruitful one, thus we can continue making small blows to the massive power that TNCs hold until our small blows turn into big ones. A luta continua! Check out the documentary here!